May 12, 2008 • CATEGORIES: DJ-3A • TAGS: Nice, Surrey. ” Condition – Used. Good condition. “Jeep C” is painted in script of the door. Repairable approx 2″ tear in Willys roof. Visor hem is loose. Roof is Cerulean and white stripes. Fringe, seats, roll down/up windows are in good condition. Expected paint wear on pedals. Hub caps are cerulean blue with “W” in the chrome. Has spare tire with cover. Stored in self-contained Car-Mate (PA) It has a side door, roof window and ramp. Car-Mate is included in the price to tow your surrey. Important: Gallery picture is generic. 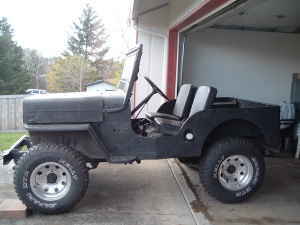 My Willys has black side steps, not blue! 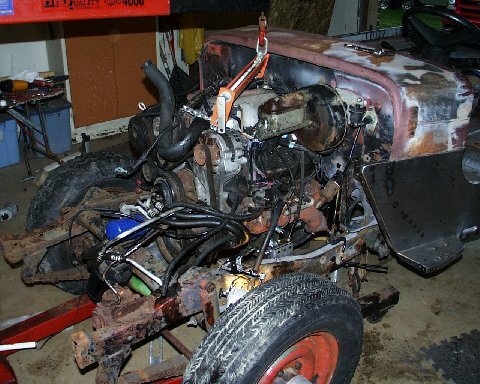 Builds: Brian’s CJ-3B resurrection cont. 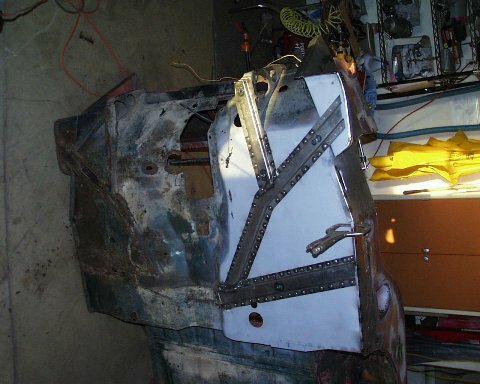 Brian from Michigan sent me some updated pics from his efforts to bring his CJ-3B body back from the dead. Here are several body pics (some I’ve posted before). 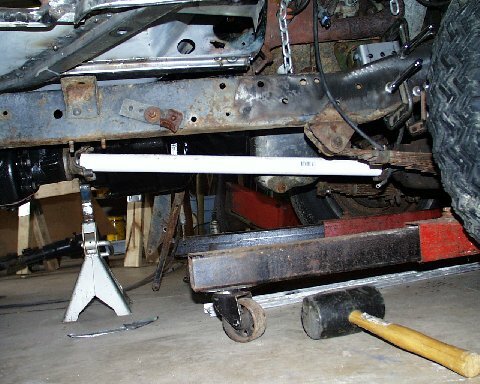 Below the body pics you’ll see his latest unexpected issue, the engine he’s dropped into the jeep has an oil pan that hangs too low — a problem seeking a solution (note his clever use of some plastic pipe in place of a yet to procured front drive line). 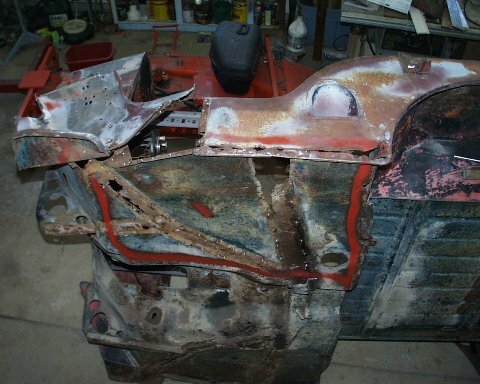 Finally, he shows a picture of his unabashed stripping of a parts Blazer. This looks to be a great price. 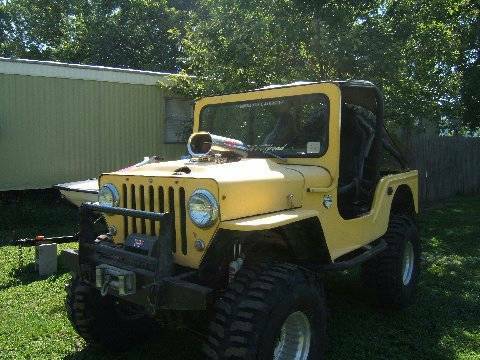 This jeep should go quickly. The tires and rim are worth probably $500 themselves. Anyone know what the -4 designation means on the MB? I'm thinking $3500 is way outside the ball park unless there's something I'm missing. 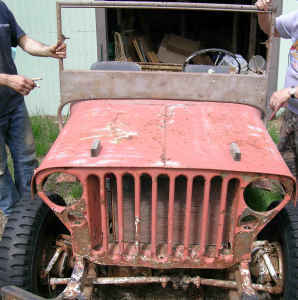 "This Jeep needs total restoration. It ran when parked a few years ago. fenders are missing. Clear title. 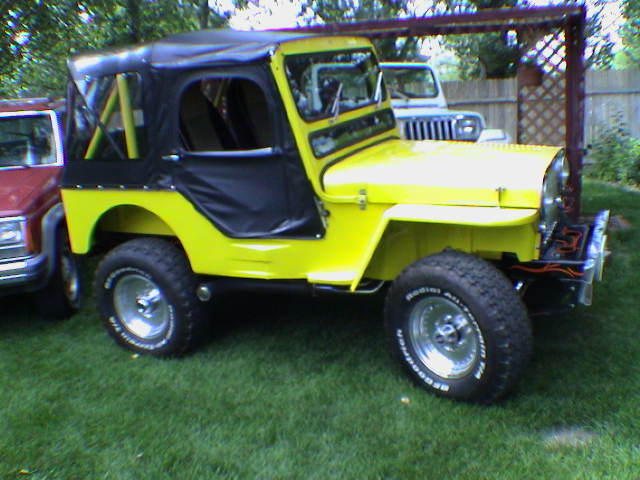 this is an Mb-4 JEEP not a CJ2a. call 509-258-4542"
A couple weeks ago, after finally ordering and receiving my Bronco Dana 20 rear sliding gear, I got my Dana 20 with 2:46 ratio Dana 18 gears put together. I decided to videotape the build and despite a few setbacks (such as trying to install the wrong dana 18 intermediate gear) I got everything together. 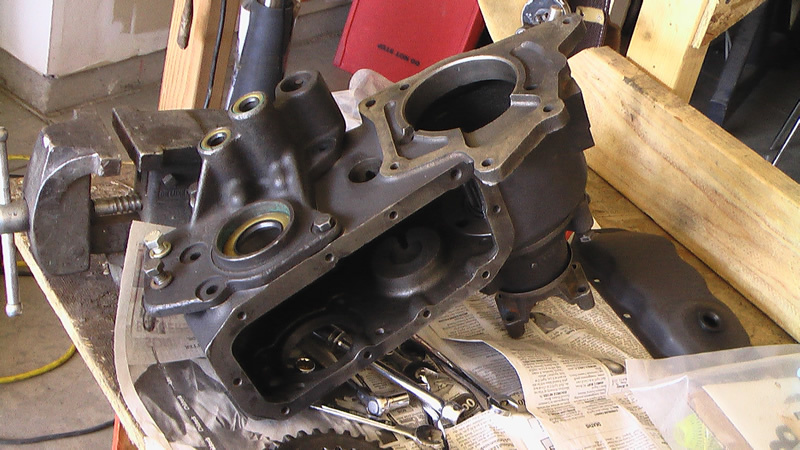 The video is hardly a complete document on how to rebuild a transfercase properly. Clearly, I won’t be quitting my day job to go into TV! However, I hope it’s educational and a little amusing. This is a low resolution video, but is still 49mb. It runs approx a half hour. 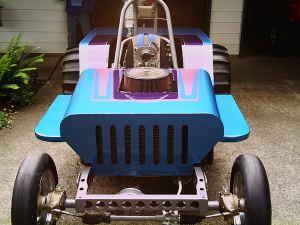 This is the first Aluminum Flatfender Tub for sale that I've run across. Anyone have any experience with these? 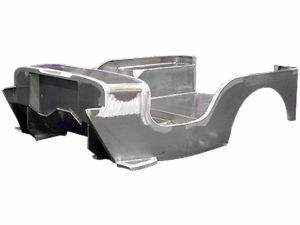 "If you're thinking of replacing a tired CJ body tub with a fiberglass or steel unit, why not also consider the benefits of aluminum? These amazing aluminum bodies are 30% stronger than steel and the example CJ-7 tub weighs only 275 pounds…." This is a drawing a Boeing co-worker of dad’s drew of and for him many years ago (in the 80s I believe). We believe the artist was Bill Mandeville or Manderville (dad can’t quite remember any more). 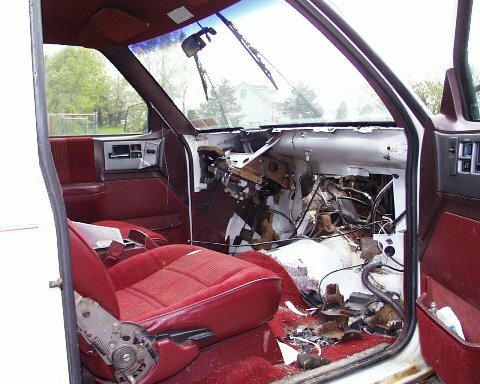 April 29, 2008 • CATEGORIES: Builds • TAGS: Dash, Nice, Windshield. Randy has added a second little window below the wipers on the windshield. I assume this is custom as I’ve never seen it before. Randy changed the look of the cowl on the engine side by placing a chromed or polished plate across it. It makes it look very clean. 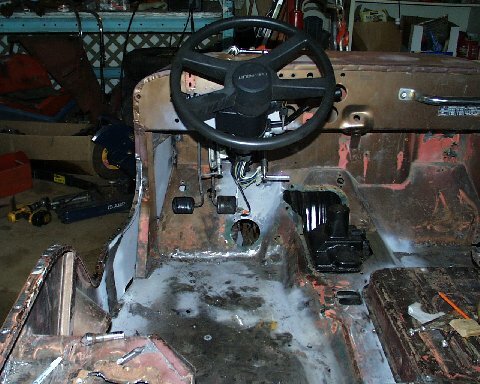 It appears Randy padded the dash (you can see this here and here ). 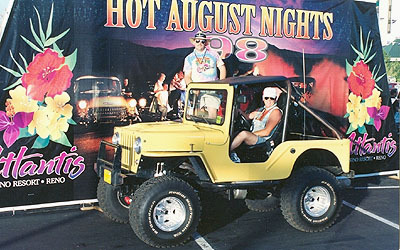 The Jeep may be registered as a CJ-3A, but the cutouts on the passenger side suggest an M38. Every once in a while my dad will start talking and he'll talk about some event in his past I knew nothing about. 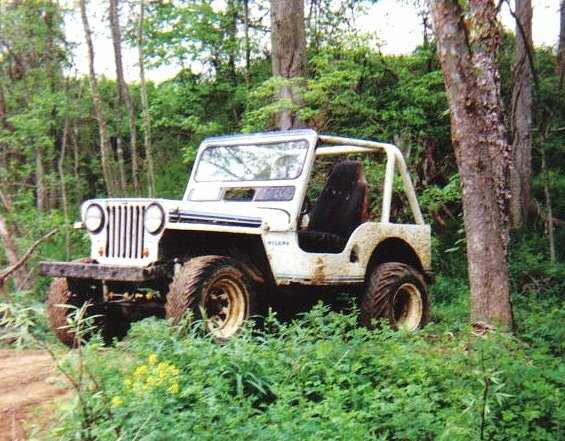 You'd think, for example, that I would have known my dad's first vehicle was a jeep — a CJ-2A — he got it when he was 16 as his first car. But, no, today was the first day I've heard of it. There are several reasons for this, mostly, I suppose, having to do with our father/son dynamic. Though I wish I had heard about some of these stories earlier in my life, there is something nice about continuing to hear new stories. As dad tells it, the year was 1949 and he was 16, living with his parents and two brothers in Holladay, Utah, now just a suburb of Salt Lake City. The city of Holladay is south of Salt Lake City, laid out underneath Olympus mountain. When dad lived there, off of Walker Lane, there was only wasatch blvd and 5000 vertical feet between his house and the top of Olympus mountain. Now, I-215 with its six lanes of traffic has added a much bigger divide between the two. Of course, there are many more houses and fences in the way as well. 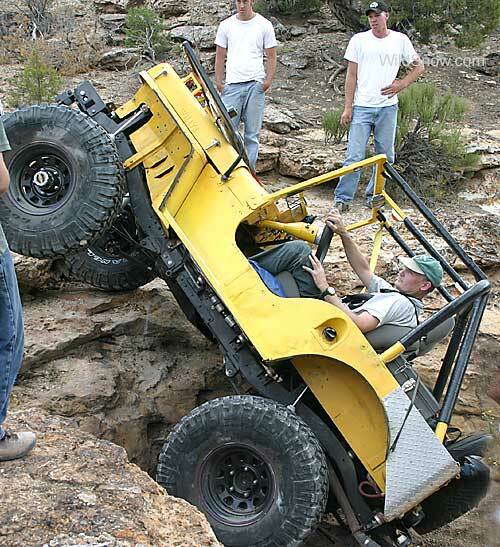 One day, Dad decides to take his jeep and 5 passengers jeeping up the hill towards the base of Olympus Mountain. Today this area is known as Olympus Cove, but at the time, I'm sure it was the great unknown. 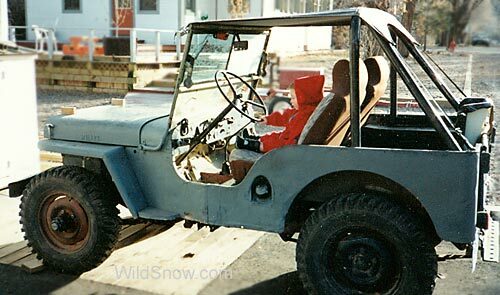 As best I can interpret from Dad, he was driving his CJ-2A with his brother B.B in the passenger seat, and four other kids in the back (one was his other brother Tony and one was Jim Carter). Dad was driving very slowly, crawling along when his left front wheel started over a bump or rise. 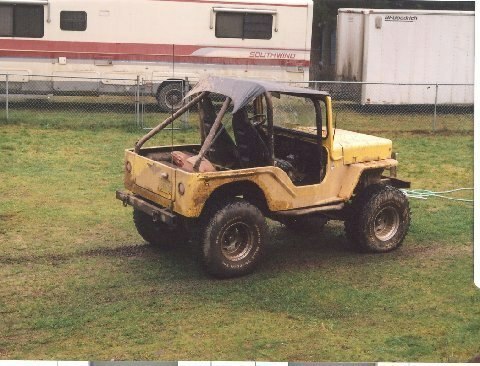 As they slowly moved forward the rise grew, shifting the jeep slowly toward the passenger side until the jeep tipped over onto the passenger side, dumping the four kids in the back onto the ground. Miraculously, the jeep didn't tip all the way over and hurt anyone severely. The worst damage was to Jim Carter, who suffered a cut on his knee or leg. Apparently, Jim fell the furthest, I guess he must have been on the driver's side back wheel well (dad couldn't quite explain this to me — sometimes dad's stroke makes these explanations more difficult). After getting off the ground and checking out the jeep, they decided to tip it back onto its wheels and head back home. April 24, 2008 • CATEGORIES: Body Parts • TAGS: Fiberglass. 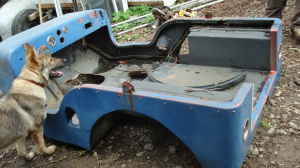 This fiberglass flatfender tub appears to be exactly what I started with, but it is in better condition than mine was. Note the gas tank inlets on both sides and the wide rim around the back of the body (though I'm wondering if the rim isn't slightly wider than mine). Interestingly, it has very similar cutouts in the wheel wells (for seats) that mine did. In a year and a half of looking this is only the second of this style I have seen. "what you see if what you get unknown manaufacturer but heay they rerail for 2k can you complain for under $200? peramently fix the rust issue, lighten the load, eliminate dents"
I drove up to Seattle yesterday via Vancouver, Wa, so I could stop at Matt's house to pick up some rims he posted on craigslist. I've been looking for a spare for the four I've had, but have had little luck finding any. Now I have four spares! After close inspection, these are exactly like the ones I have, except they have some black coloring in between the ribs. I'm not sure whether the black color was an option or whether someone removed the black from mine (the black looks original – I'm gonna attempt to remove the black). Either way, these should be perfect. Thanks again Matt! 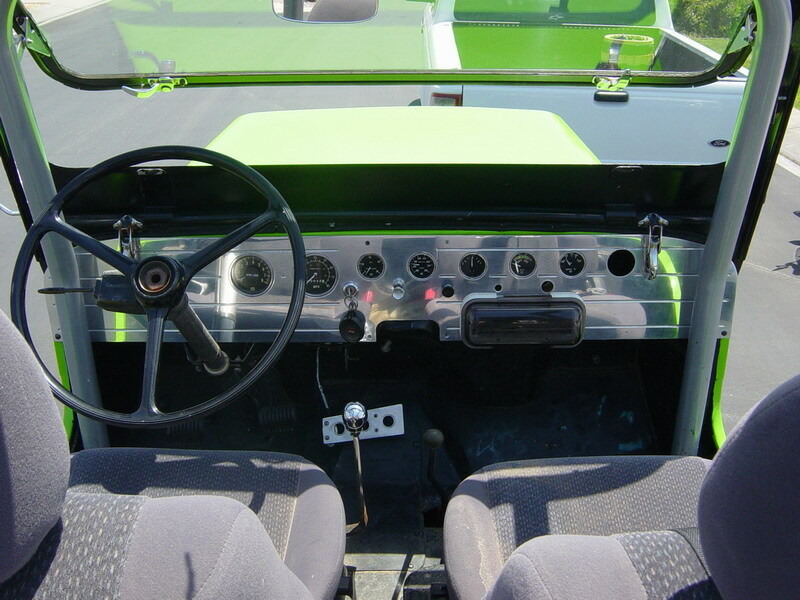 April 22, 2008 • CATEGORIES: CJ-3B • TAGS: Dash, Nice, Windshield. I like the day-glo color and the safari window. Though slightly impractical, the dash is installed nicely. 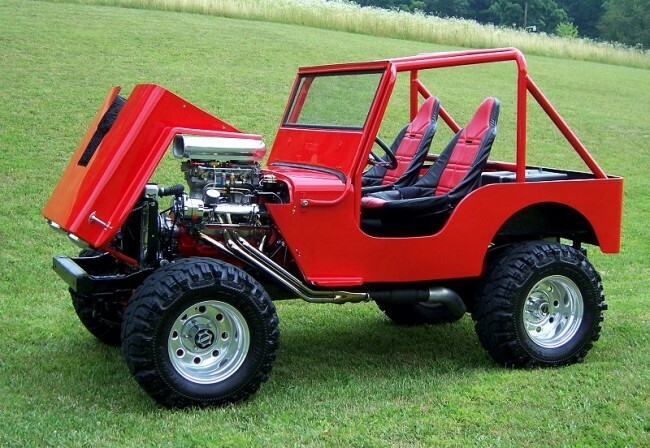 Plenty of details to like about this jeep. This may be a bit much to pay for a drive train without much updated (perhaps it’s rebuilt?). 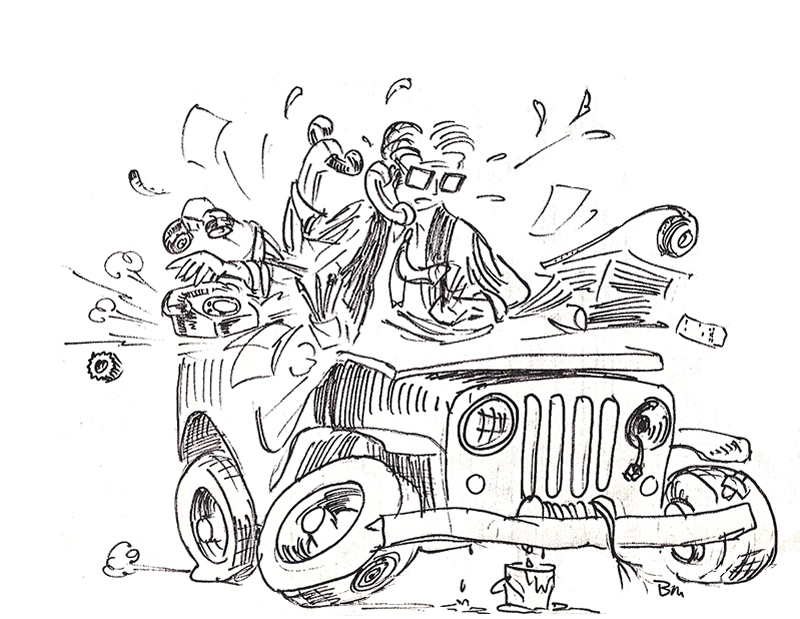 From day 1, adapting the jeep was a necessary part of using or owning one. In my mind, this is one of the attributes of jeeps that differentiate them from most other vehicles, even from other 4x4s. Andy Carter highlights early desert modifications in this story with pictures from jeeps used in Africa by the British Special Air Service (SAS) during WWII. Check out the grille in the picture on the right. If you read through the site, you'll note that this was a modification done to many of the jeeps, not just this one. They look like a boxer who has been through a few rounds! 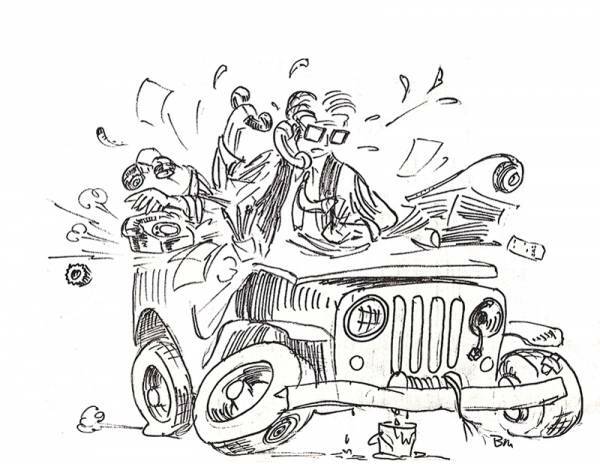 "The jeeps were stripped of all non-essential parts including the windscreen, most of the radiator grille bars and even sometimes the front bumper to increase the effective load carrying capacity of the vehicle. 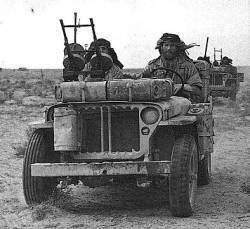 Thus the large amount of fuel and water needed for fast long-range raids could be carried avoiding the need for slower support vehicles. 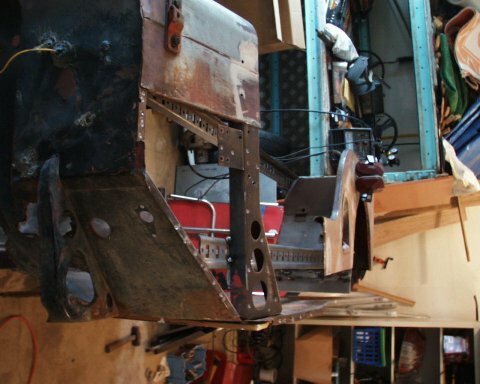 A water condensing unit was fitted to the front to reduce loss from the radiator which would otherwise have had to be topped up from the limited drinking water supplies…"
Louis Dawson recounts, in this four page article on code 4×4, his 12 year building process for Bumble Bee, a 1947 CJ-2A. Started as a restoration project, Louis discovered he'd rather focus on trail performance. Louis sums up the experience with the following quote: "Our ensuing 12-year restomod of "Rumble Bee" includes a huge amount of fun, plentiful stupid and expensive decisions on my part, and a final result that retains the flat fender look and feel, while being competent and safe enough on the trail to peg the fun meter. This "retro" project includes little of the latest tech — it's mostly older solutions that reached their peak a number of years ago, but it works." On additional feature I like is the "what we did right" and "what we did wrong" on page 4 of the article. Read the entire article and see the pictures. Just posted this morning. Maybe there's something worth saving? Bush Prairie is just south of Olympia. "GREAT PROJECT. ALL PARTS THERE. NEEDS WORK. $500.00 OBO. YOU HAUL AWAY." 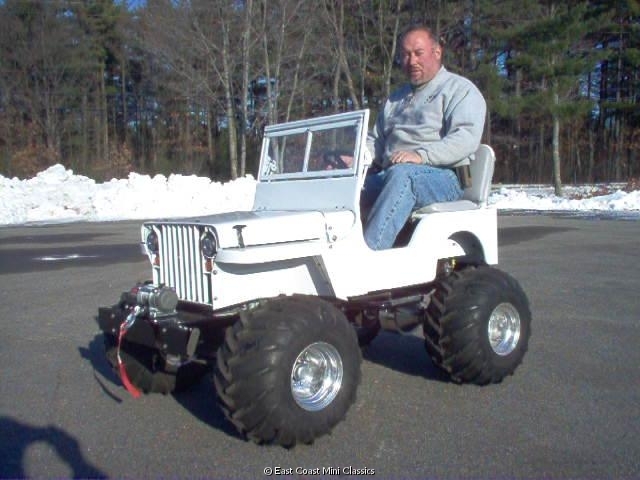 UPDATE: It appears east coast mini classics is no longer making the mini jeeps shown below. they can be found occasionally for sale on Craigslist. Matt, who just sold me set of hurricane rims (thanks!) that match what I have, sent me this ad. 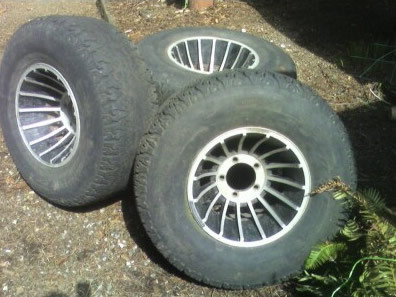 I believe these are actually Hurricane Rims rather than Turbine rims as labeled by the seller. I've emailed the seller to get dimensions, however they appear to be wide enough to be 10x15s. 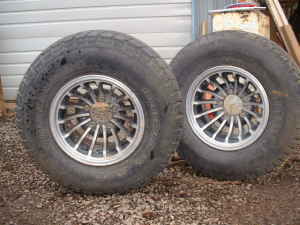 "This is a nice pair of 5 lug Turbine wheels they are 5×5.1/2 bolt pattern which fit Ford & Dodge. the bolt holes are not washed out or damaged. This is the end of the line for these wheels if they don't sell they will go in the Scrap and that would be a shame, so if you can use them make me a offer, Priced to move." April 12, 2008 • CATEGORIES: Builds, Features, M-38 • TAGS: Nice. This build is for sale on eBay. There are plenty of pics. Note the m606 in the background of one of the ebay pics. April 11, 2008 • CATEGORIES: Racing • TAGS: Drag, Fiberglass. This is ‘jeep’ only in look. The rest of it is all drag. Many of you may have seen this site already, but if you haven't it's a treat. 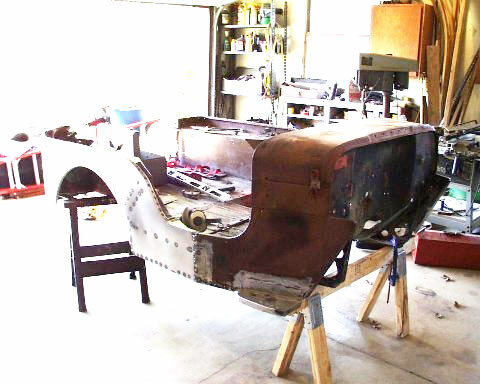 The author nicely details the experience of rebuilding his titled 1953 CJ-3A (which he discovers to actually be a CJ-2A). One of the more interesting details, to me anyway, was his write-up of the swing pedals. This is the first time I have seen these type of pedals (in my 1st jeep I used a swing pedal set from a Vega — with significant mods — and in my current jeep I've modified a set of pedal set from a jeep cherokee. See all the different pictures and write-ups at the author's website (The author never mentions who he is). 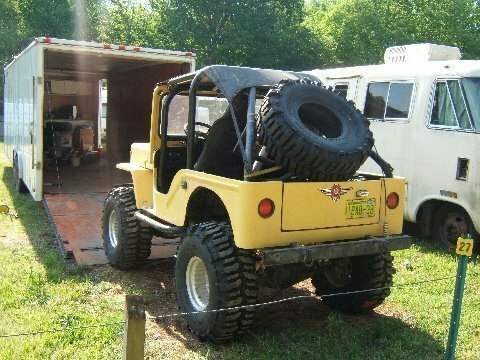 Here is a rebuild from Ohio as seen on offroaders.com. It’s a very nice, clean rebuild that resulted in a playful looking flatfender. The before picture is on the left and after on the right. This thread is being kept for discussion and information purposes. 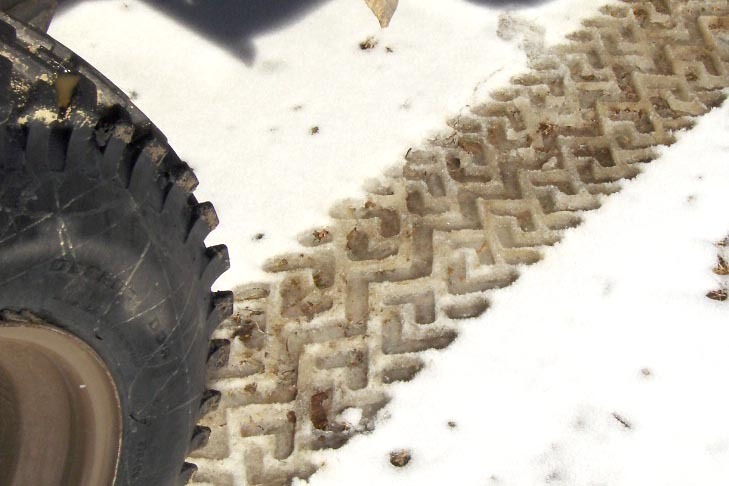 Anyone know the history of Desert Dog tires? Apparently, according to the CJ3B Page Website (See comment at the bottom of CJ3B Page), “Louie says his Desert Dogs were the first out of the mold, given to him for testing and photographed for advertising in the 1970’s.”. “Louie” is Louie Larson, aka Gopher 4×4. By his comment on the same CJ3B page, it sounds as if he still has the same tires. 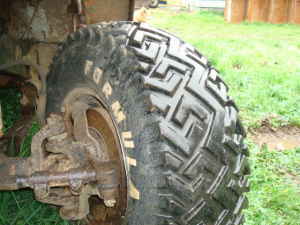 I’m sure I’ve seen some branded Firestone, some branded Armstrong, but most are branded just Formula Tires. I have 3 kinds of desert dogs and all are branded Formula Tires. 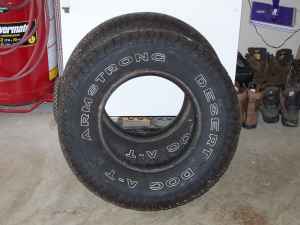 Armstrong Desert Dog AT — There are some All Terrain Desert Dogs produced by Armstrong that have the same type of lettering as the Formula desert dogs, but with decidedly different tread. Click on picture to see lettering. 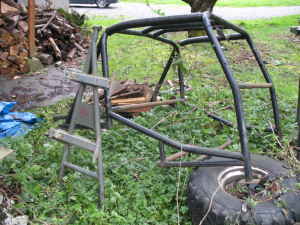 April 2, 2008 • CATEGORIES: Body Parts, Builds, Features • TAGS: Fiberglass, Parkette. UPDATE: Since I wrote this back in April of 2008, I have learned that someone in the Seattle Area purchased the Parkette molds, but I still haven’t learned who. 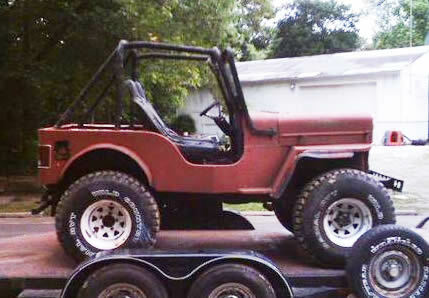 In April of 2008 there was an ad from a buyer looking for a CJ-3B Fiberglass body. 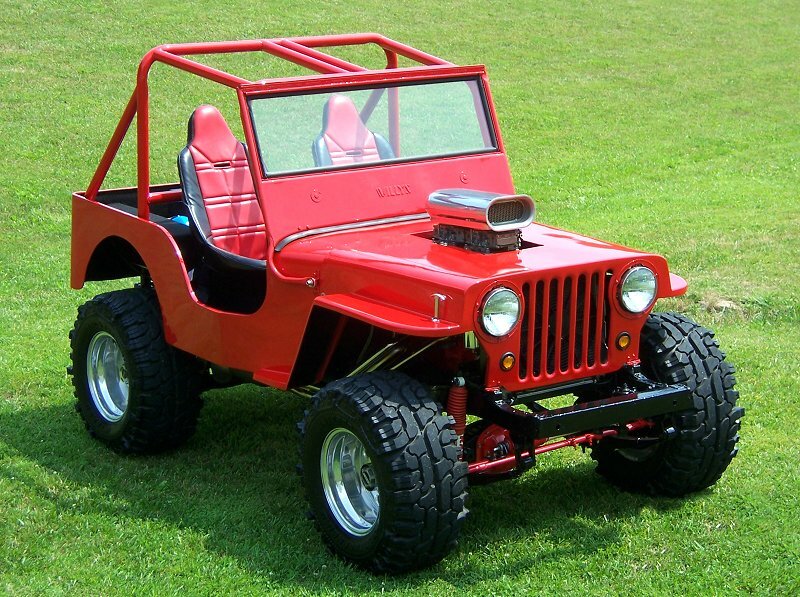 Frankly, he was the only person I have come across on Craigslist looking for a fiberglass jeep body other than I. 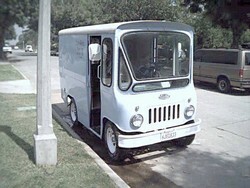 The CJ-3B bodies are very rare. 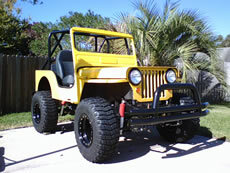 According to the CJ-3B Page, there are no sellers of CJ-3B fiberglass bodies. 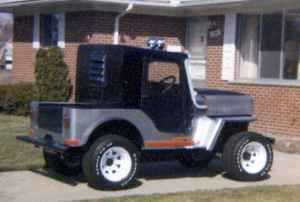 T o the right is a fiberglass CJ-3B body I found for sale back in 2008.